I hope my story and experience helps hair loss guys like myself know that there are options out there, after many years of research and seeing fellow professionals have a hair transplant it gave me the guidance and hope that I could get my locks back. Having been a professional footballer, I know what confidence can do for a player and hair loss has certainly knocked my confidence in the past. Playing in the premier league for over ten years allowed me to have the confidence however I have to admit, losing hair certainly knocked my confidence and I can now see why Rooney and even my former room mate David Beckham seem to do what they can to keep hold of their hair. No shame in this, even though in the UK there seems to be a stigma attached to guys and even women looking for ways to help with their hair loss problems. I have been researching the past few years at clinics in the UK and abroad with the help of forums. After numerous consultations I picked The Hair Dr Clinic in Leeds, a few reasons really for this choice, I was never pushed into making a decision, the surgeon was honest with his expectations and what really did it was he wanted to educate me on all my options and said come back if I wished. I found the approach, support, professional aspect and caring environment made me confident in choosing this clinic. I know through research that my donor area is quite weak and if I were to have a procedure it would be to frame the face and mid section in which I would be happy with as I like my hair short. The aim was to use my donor area and beard area to extract the grafts to achieve this. I felt confident this could be achieved and even got to meet some of Dr Arshad's patients in which the work looked great. It has taken me almost ten years to decide to go ahead with a procedure and at the age of 44, i feel my hair loss is stable enough and i am realistic enough in regards to expectations and future progression. I arrived at the clinic in good time and it was safe to say the nerves started to kick in a little, felt a little like the moments before a big match! We discussed the procedure, expectations and any questions I had, I was not rushed and made at ease almost immediately with The Hair Dr Clinic team. We then agreed the hairline and discussed my donor and beard area. I had no real desire to bring forward my hairline, as I didn't want to dramatically change the way I look, and this was taken on board when the hairline was agreed, in which i was happy with and ready to go. Once the extraction was done, we had lunch and then Dr Arshad was ready to implant the grafts into my hairline. I have met Dr Arshad a few times before and know how much he prides himself on his work, and at points it was like seeing an artist in action. Constantly checking his work and hairline and seeing if i was happy with the work. The extraction and implantation seemed to fly by, I was that relaxed I fell asleep a few times. Once I was cleaned up I had a meeting with Som and Dr Arshad who talked me through some of the medicines to take that evening to avoid swelling and infection. The clinic provided me with an after care pack with instructions, medicines and lotions to help with my after care and a contact number I could call at anytime in case I had any questions which put me at ease. Since the moment i arrived, the whole experience has been extremely positive. Dr.Arshad and the team were extremely professional and caring. I was felt to be made welcomed, never rushed and was put at ease in what is a big thing for most patients having an operation. 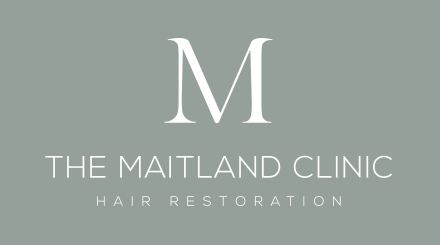 The Hair Dr Clinic have been superb with the support and aftercare and I really couldn't of wished for a better experience. I am realistic in my expectations and hope the following months i start to see these. Everything was done to a very high standard throughout and gives me confidence that i will come away with a nice result. Thank you to Dr Arshad and The Hair Dr team! I will keep you all updated on my progress, please see the photos attached. Any questions, please do not hesitate ask and I will respond when possible. Hope this helps. Welcome.....was a big Man Utd fan back in the day......not so much now as they are no way near as good. Is this the same surgeon/clinic that operates from the Hamilton medical centre in Dewsbury too? I only know as I'm fairly local (live near Leeds)and have seen this clinic a few times when passing. Damn could have got an autograph lol. Please keep us updated....never seen any work from this place before on here. I intend to keep you guys updated on my progress as these forums have been a great help. The healing has been fantastic and I can see a hairline now which I haven t done for 10 years! That's awesome dude....please do keep us in the loop as it will be a first for us on here seeing this clinic. Glad your happy with how the healing has gone and that you had a positive experience with your surgery. Love hearing positive stories. I look forward to your updates....it's such a good and exciting feeling having your hair grow back again. How did the beard area heal mate I noticed you had 500 taken from there?